Millions of people turn to chiropractic care for back pain. The process can be very therapeutic and pain-relieving. The results from this alternative treatment to medicine and surgery are highly effective and can really add relief to your aches and pains. The process is non-invasive and can be performed in an outpatient clinic setting. The results speak for themselves, so consider chiropractic services for your future pain treatments. Chiropractors use hands-on manipulation of the spine to treat back problems that cause you pain. The thought is that proper alignment of the spine will keep the musculoskeletal structure (including the spine) in order and in turn allow the body to heal itself without medication or surgery. Manipulation is used to restore mobility to the joints that are restricted from tissue injury. This injury can be caused by an accident, repetitive stress, or sitting for long periods of time (i.e. desk job). Chiropractic care is alternative medicine mainly used for pain relief and can be used in conjunction with traditional medical treatment. The process involves a physical exam, medical history and even lab tests and imaging that may be necessary to determine the most effective back pain relief treatments. The treatment plan is then built for the patient where manual manipulation takes place. This manipulation involves adjusting joints manually using a controlled and quick force to improve the quality of motion in that area. It is not only usually painless, but oftentimes brings about an immediate feeling of relief. Chiropractic care is not performed in a bubble. It requires the patient to incorporate healthy diets with exercise and rehabilitation to have an effective outcome. The process can take a while if the injury is very serious, but for acute back pain, it may only take a session or two to start feeling great results. 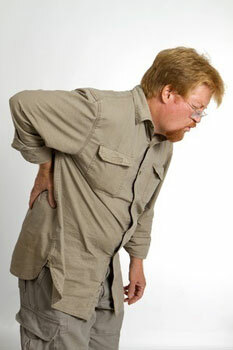 Other benefits are obtained from chiropractic care, in addition to relief from back pain. This type of care can be very effective in treating neck pain and headaches. The pain felt by osteoarthritis and fibromyalgia can also respond positively to chiropractic care and deep tissue massage. The best thing about chiropractic care is that there are no drugs to take or painful surgeries. This process can be uncomfortable at times, but the benefits far outweigh the adjustment period. This treatment process can be extremely effective and allow the person to heal naturally, without drugs, and make it more likely they will not need surgery in the future. Chiropractic care is a wonderful process for healing back pain. By meeting with your local chiropractor and getting an assessment, you may be able to ease the pain you are feeling on a daily basis. This process involves the entire body and requires that you do your part as well. Many times the doctor will set up a treatment plan that you should follow to obtain maximum results. These plans include proper diet and exercise to increase the effectiveness of the process. Consider a consultation with a chiropractor at the Chiropractic Health Center of Bristol! All you have to lose is the pain.